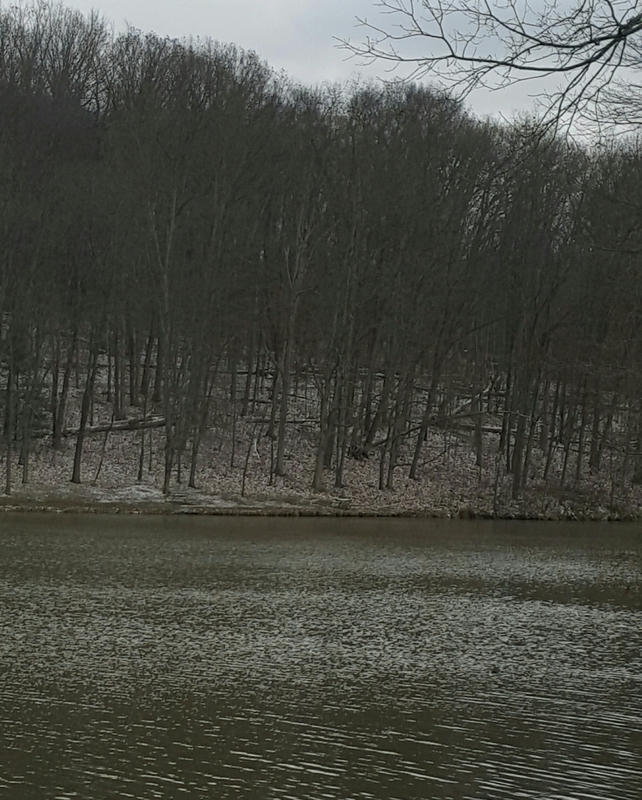 For some, cold wintery weather can destroy an angler’s motivation to fish. Summer is over, and the days of warm sunshine and green shorelines are gone as well and are replaced with a dull landscape. However, winter can provide excellent fishing oppurtunites. Many species of fish tend to school up at this time. If you can find them, big catches are possible. Dressing warm is absolutely important, and a good thermos full of coffee helps as well. Presentation becomes extremely important as the temperature dips to fridgid conditions. In most cases, I’ve found that presentation needs to become slower. However, there are exceptions to this. Sometimes the fish really turn on and will strike at a more aggressive retrieve. When the fish prefer slower presentations I have found that they can become finicky. Let me rephrase that, EXTREMELY finicky. I found this out by fishing a very popular fishing hole. Two anglers down the shore from me were catching fish, yet I had yet to even get a strike. I tied on the exact same bait that they were using which was an 1/8th ounce jig with a 3 inch chartruce grub, yet I still could not get that tap on the end of the line I was patiently waiting for. My patience was dwindling, as I knew that this bite could end at any moment. If I wanted to catch anything, I had to act fast. I tried slowing down my presentation and still did not succeed. Finally, I carefully watched the angler beside me and copied his presentation, same speed, same lift, same everything. I was immediately rewarded with a sharp tap at the end of my line and instantly set the hook. I caught two saugeyes that day before the bite abruptly stopped. Attention to detail is so important this time of year, and I’ve found that I’ve had be willing to experiment with different presentations to find out exactly what the fish want. What worked yesterday may not work today. Bait size, weight, and type of bait are critical factors as well. Some days it seems they won’t bite unless I tip my jig with a minnow. As for location, I’ve had luck around deeper water in the winter. Drop offs and large shallow areas near drop offs have worked for me. Spillways are another great option. Winter has always been one of my favorite times to fish. Not the most comfortable time, but at times it has been very rewarding.